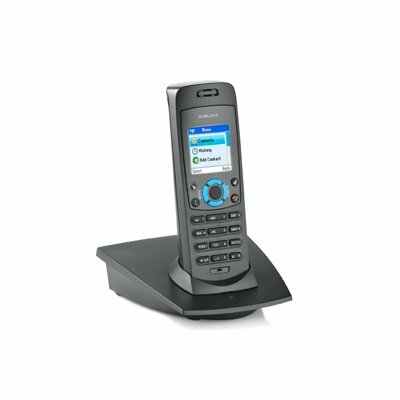 Successfully Added Dual Skype Phone - Cordless Home Phone + Internet Phone to your Shopping Cart. Skype Dual Phone; wireless handset + base station + cables. Full retail box set at wholesale discount prices. Plug in to your ethernet / router and you can call your Skype contacts for free or cheap calls to landlines with Skype Out. Also connects to normal landline phone line and operates as a normal cordless home phone. Authentic Brand New Branded Dualphone Product. Does not require a PC to use Skype function. Connects via internet, logs into your Skype account, and downloads your contact list. Wireless range of up to 50m indoors and 300m outdoors. Talk time: 10 hrs on full charge.